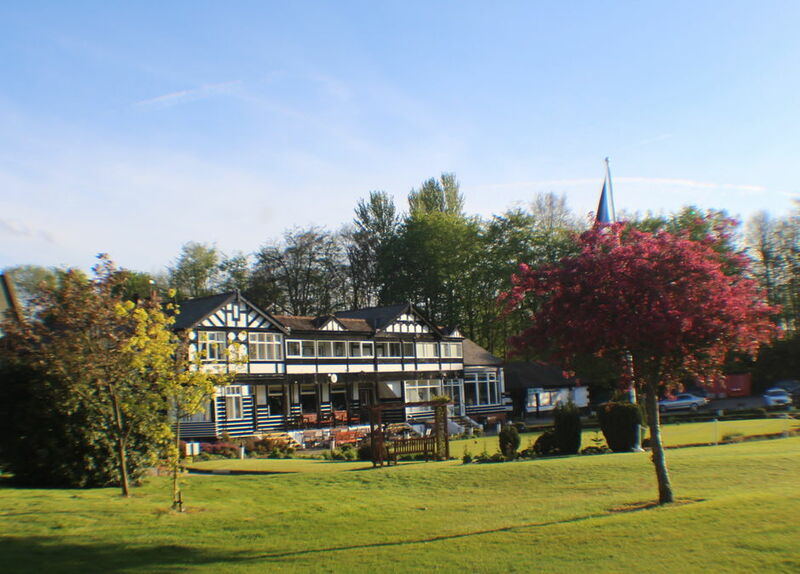 Our beautiful 19th Century black & white timbered Club House is set within an idyllic landscape that is characterised by gently rolling fairways lined with an attractive blend of mature trees. 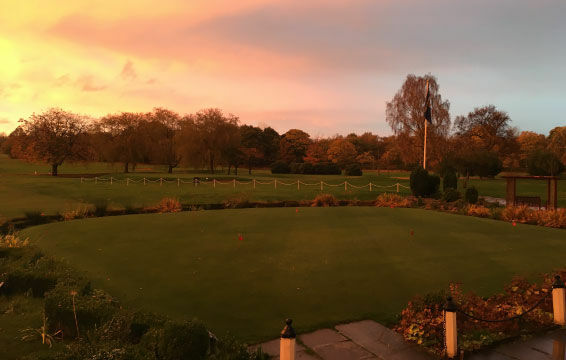 Just 6 miles west from Manchester City centre, Worsley Golf Club boasts some of the regions’ most beautiful and scenic parkland, making it the ideal wedding venue in the Northwest. 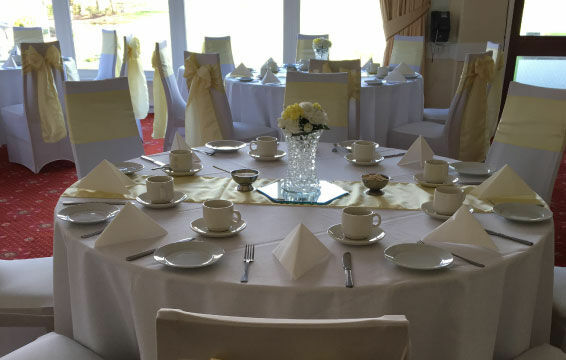 Our exceptional in house catering team provide a diverse selection of menu options for Weddings, from Wedding Breakfasts and fine dining to hot & cold buffets. 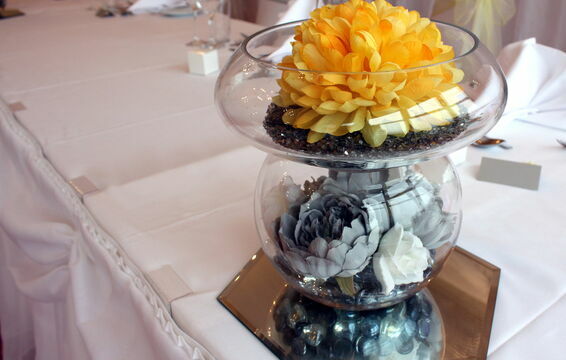 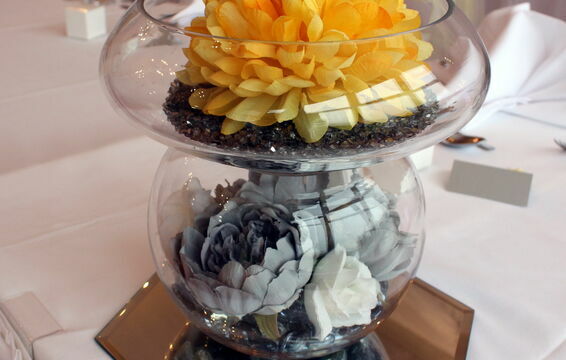 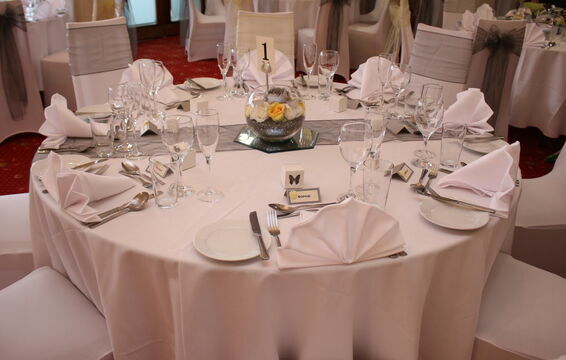 Our Head Chef will work with you to create the perfect Wedding menu for your perfect day. 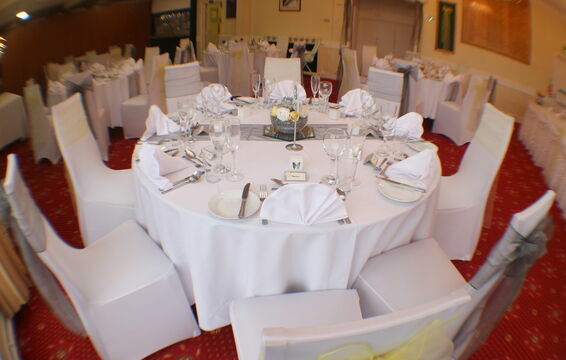 We have facilities to cater formally for 100 people, with a maximum of 130 guests for our buffet options. 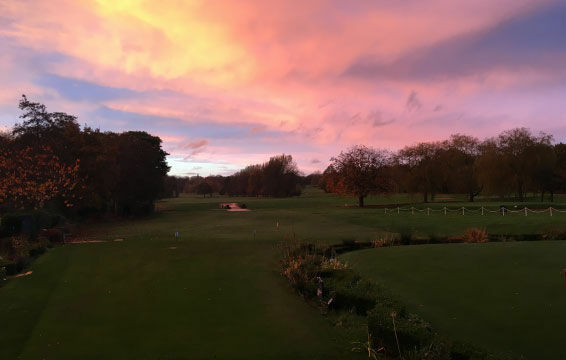 The historic Club House and scenic parkland grounds provide some of the most fantastic photographic opportunities in the Greater Manchester area. 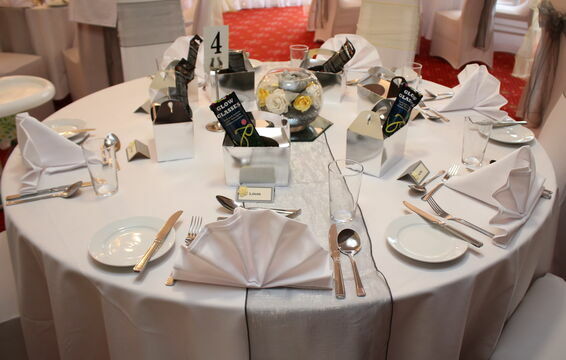 There are extensive parking facilities for you and your wedding guests. 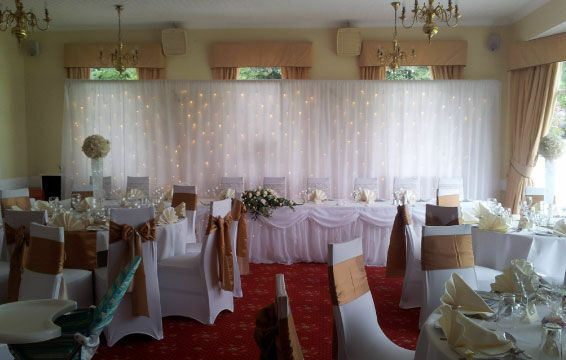 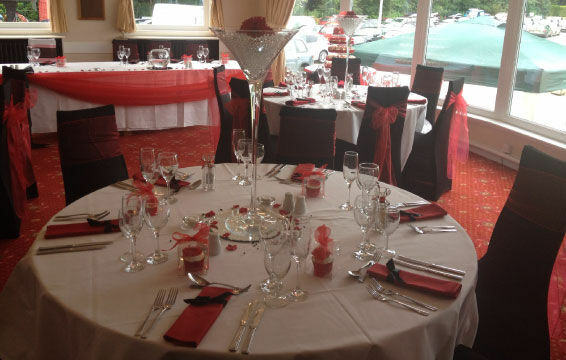 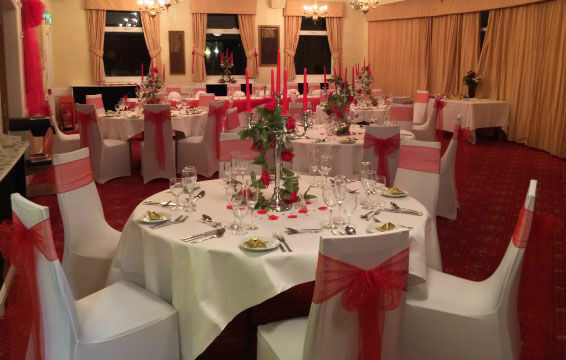 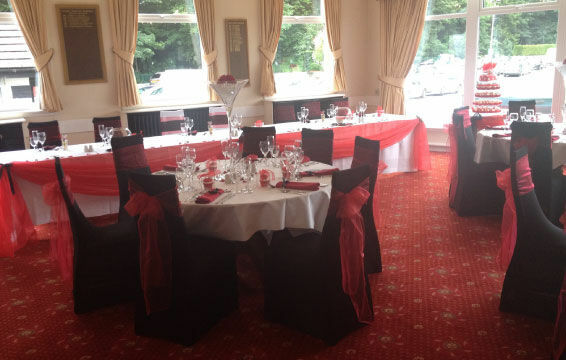 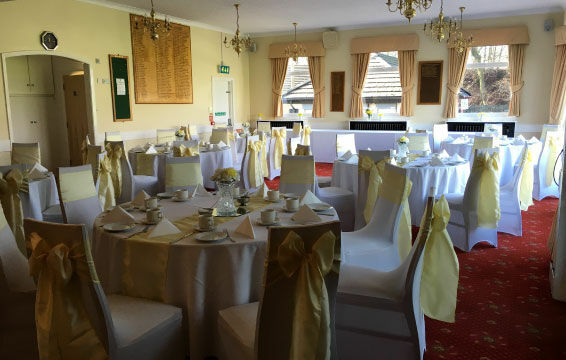 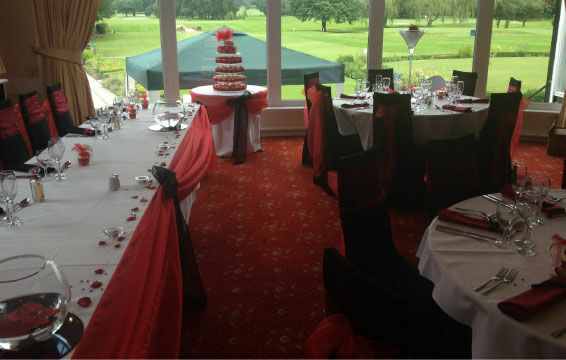 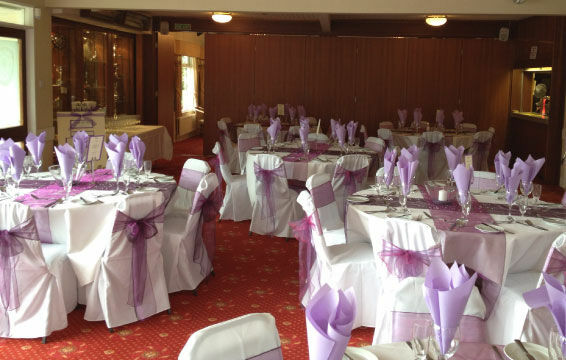 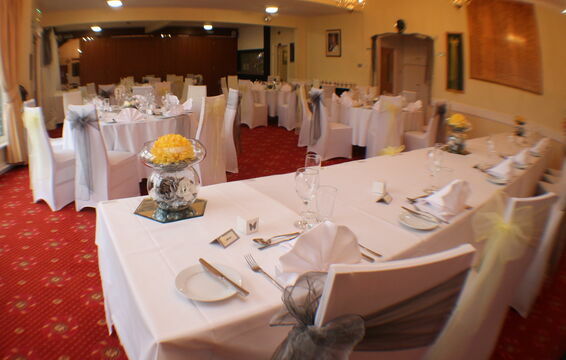 Choose Worsley Golf Club as the perfect wedding venue in the North w West for your big day. 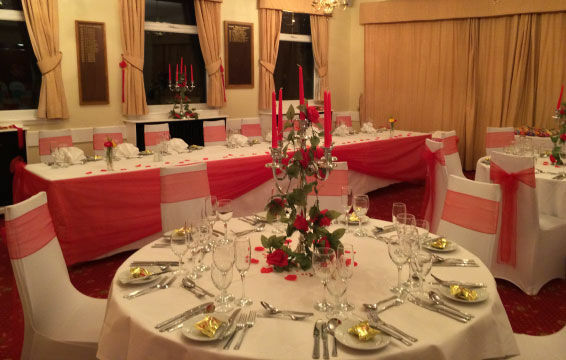 Our scenic surroundings and charming 19th Century Club House building are just picture perfect. 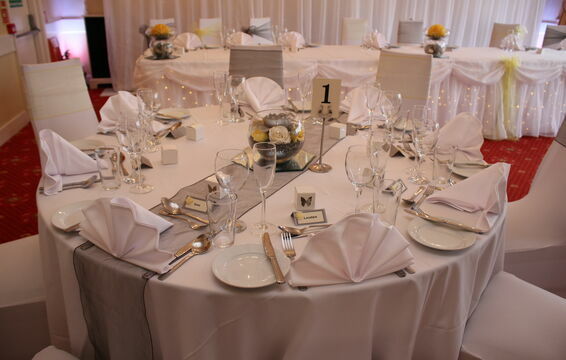 You and your wedding guests will enjoy fine food accompanied by quality wines before dancing the night away to our Resident DJ. 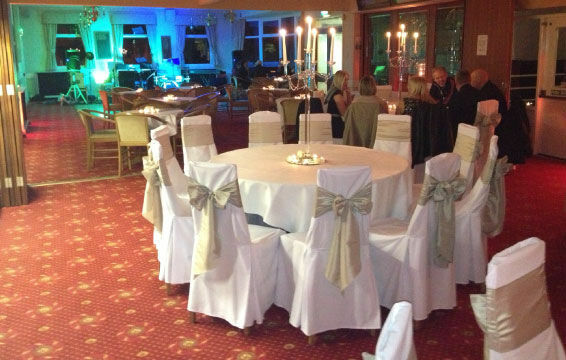 or a Band / DJ of your own choice. 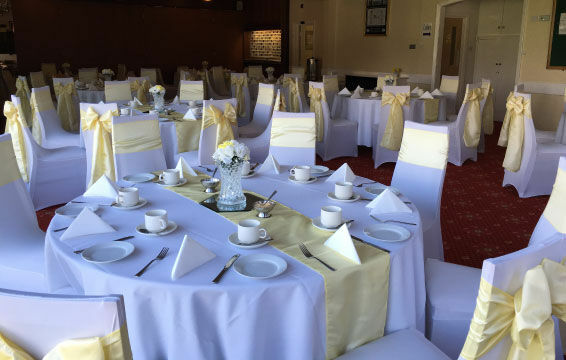 Our Wedding Breakfast Menu offers an excellent selection of fine food accompanied by a choice of quality wines for a maximum of 100 guests. 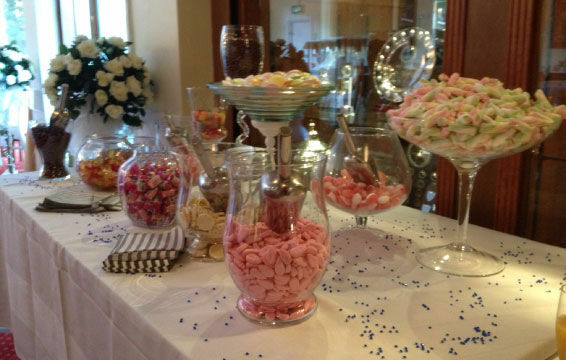 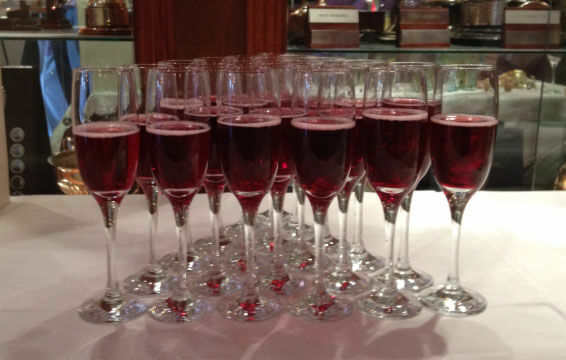 Our evening Buffet Menu options are flexible and can accommodate a maximum of 130 guests. 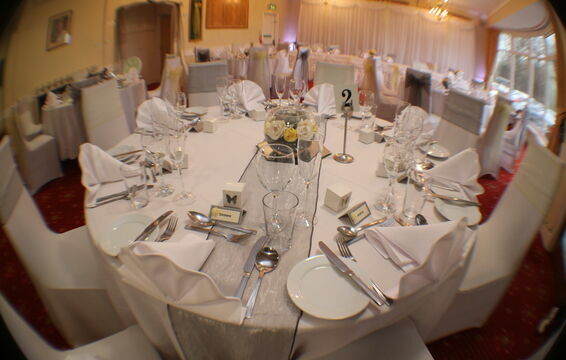 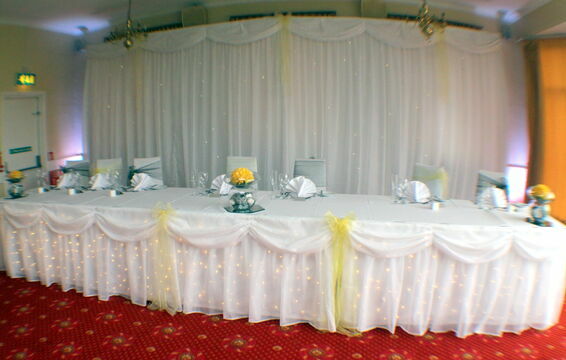 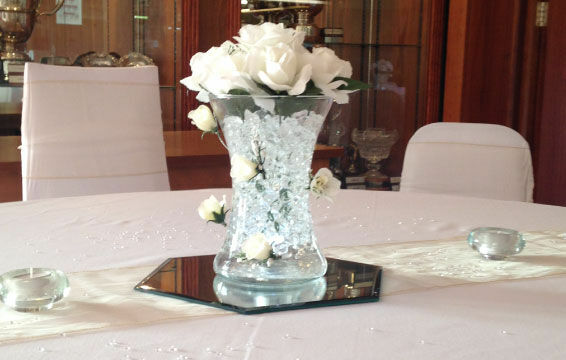 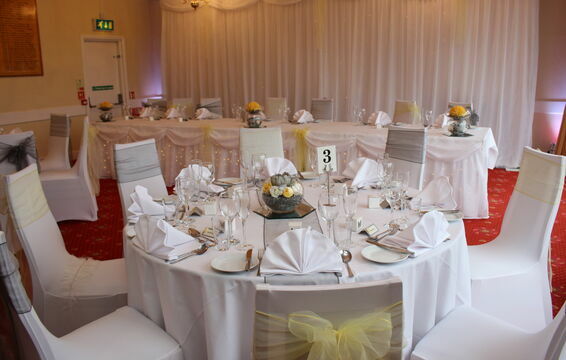 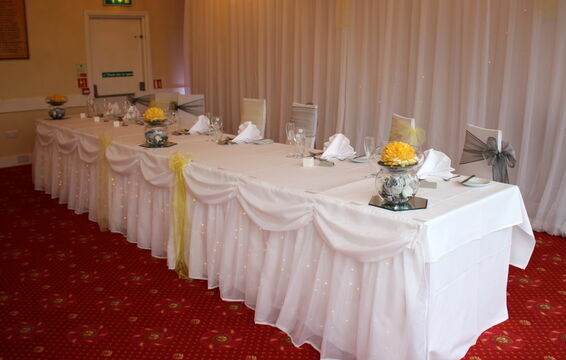 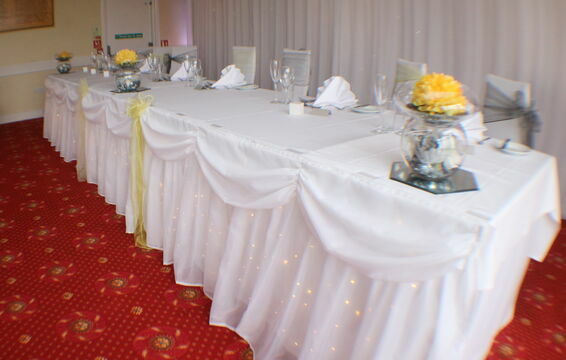 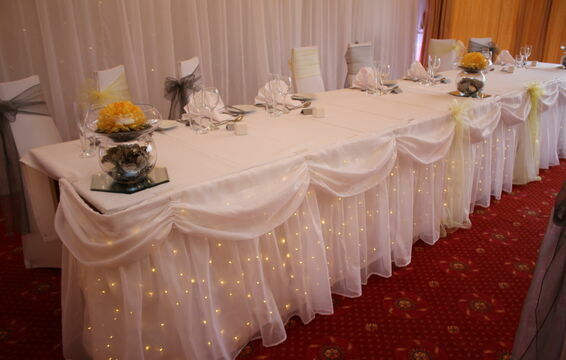 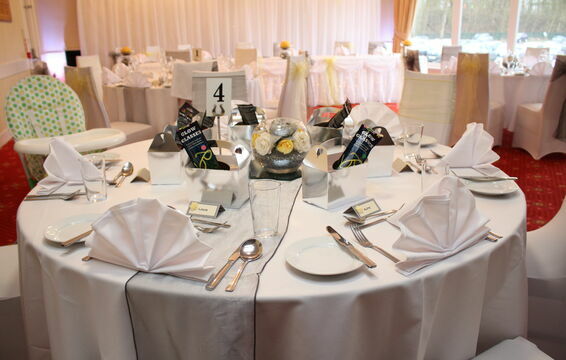 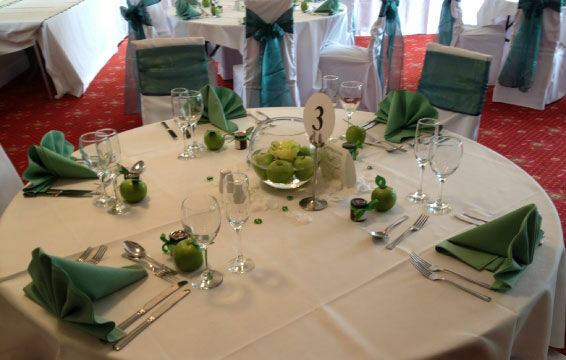 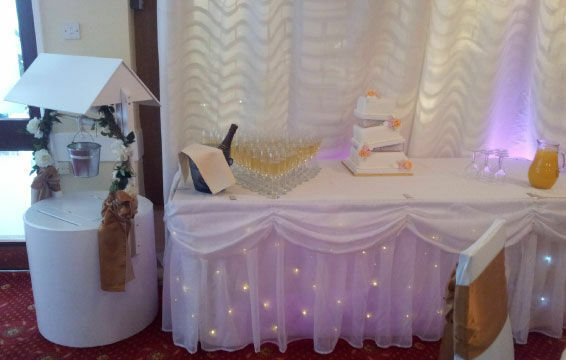 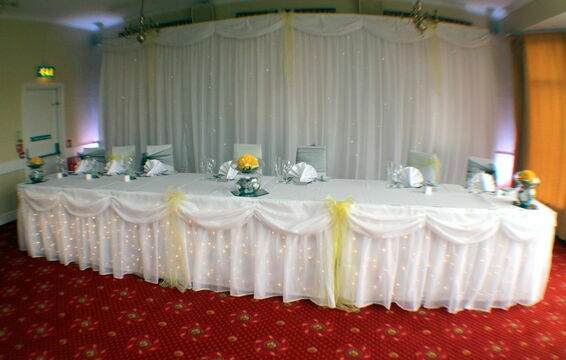 Our All Day Wedding Package provides everything you need for a relaxing, well organised and memorable day. 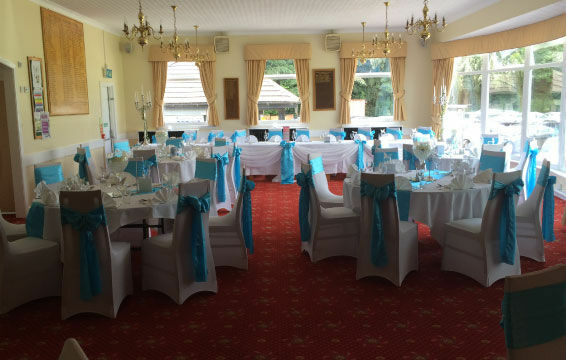 For just £5,995 Worsley Golf Club will host the perfect day for the special couple plus 100 day guests and 130 evening guests. 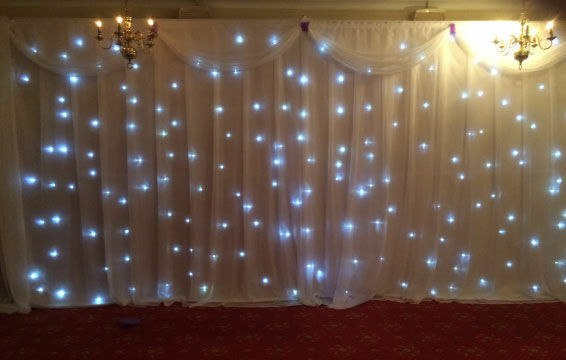 3 Foot LED letters - "LOVE" or "Mr & Mrs"
or by telephone on 0161 789 4202 (Option 2) to speak to Darren or one of his team. 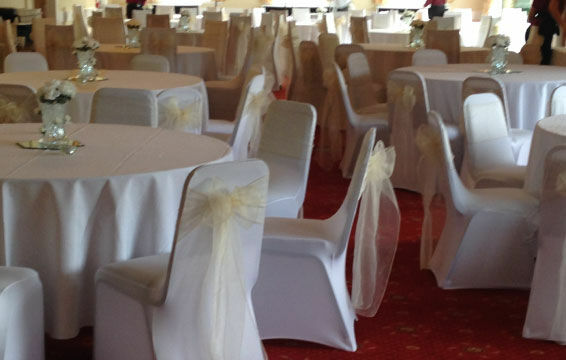 Please complete the form below to make an enquiry and press Submit Form.